Ref. 05728 - Residential sector, in a sought-after closed domain, quiet, in a dominant position enjoying a beautiful view of the countryside, elegant and bright Mediterranean style villa with high-end services and very neat finishes. The very large hall opens onto a double reception with fireplace, the dining room is followed by a beautiful Provençal kitchen very well equipped, 4 large en-suite bedrooms including master with dressing room and full bathroom. office. laundry. garage. The villa, like all the terraces, the very large pool and its wide sunny beaches are facing south in the heart of a pretty garden of charm. All the decoration is very refined with beautiful furniture of quality and famous brand. The villa is sold totally furnished and equipped, ideal for a quick and easy installation. 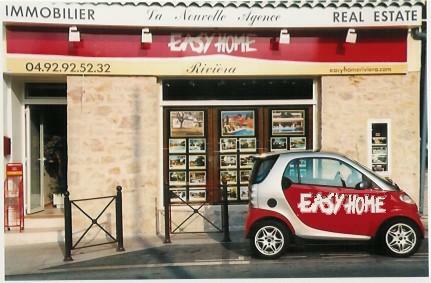 Easy access and close to MOUGINS-SCHOOL, the airport, CANNES CROISETTE AND VILLAGE OF MOUGINS.